Q- Do I really need an attorney for DUI? A- Probably. It is especially important to get a DUI attorney if you have had a previous DUI. When you get a DUI, there is usually two cases: one with the Court and one with the DMV regarding your driving privileges. It is possible to have your driver’s license suspended twice if you do not handle these situations properly. A good DUI attorney will avoid this and many other problems you may have with your case. Many people feel more comfortable with an attorney handling all the details of their DUI – even if they initially believe they are “guilty. Q- What should I expect if I hire your firm? Fight your case and/or try to get the court charges dropped or reduced. Convince the DMV to drop your case or at least agree to a short suspension so you can get a restricted license to go to work, school, classes, etc. Always take or return your phone calls, keep you apprised of your case details, and give you a copy of the police report. Take your case to trial if you want to retain us for that expensive step (a DUI jury trial can take an entire week). 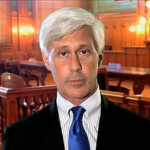 You will have the same attorney in Court every step of the way – James “Jay” Devitt. Q- Why should I fight this case? Each of these tests has faults or issues that we are aware of. For example scientists did a study of the reliability of Field Sobriety Tests. In one test, 20 police officers viewed a video tape of completely sober drivers doing Field Sobriety Tests. The viewing police officers said 50% of the people were drunk! (0% were actually drunk). The “Horizontal Gaze Nystagmus” test (follow the pencil with your eyes) results will be wrong 23% of the time; the “Walk & Turn” test results will be wrong 32% of the time; the “One Leg Stand” test results will be wrong 35% of the time. Many of the other tests done by police are not even approved by the NHTSA! These statistics were secured using “ideal” testing conditions. The SCRI-NHTSA study conceded that not having ideal testing conditions (such as testing at night, next to a busy street, where the ground is not level and/or your shoes have heels) would further reduce the percentage of reliability of the results! Our court approved experts say the tests are much less reliable, and will testify that the FST's only show which people have poor coordination and/or motor skills. Furthermore, Mr. Devitt’s experts may be able to testify that: Even though the police said you blew over a .08 BAC, it really may have been as low as a .03 BAC.